Well, the 31st of the month has rolled around once again, and EHAG's Emporium has officially opened with another wonderful collection of Halloween delights available for adoption. Please hop on over to visit our Emporium and marvel at the latest one of a kind creations by me and my fellow Halloween artist friends. 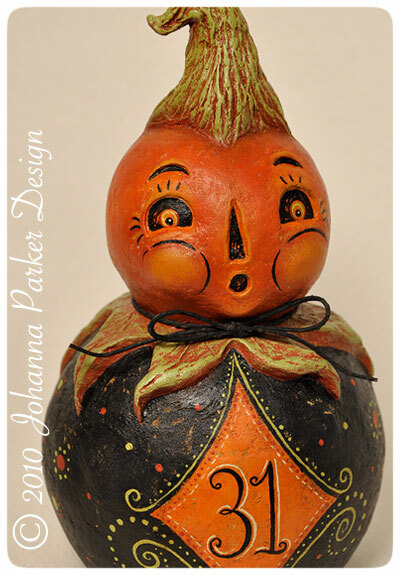 Tonight, I am offering two original ball characters, one in the Emporium and an additional one here! You may take a peek below at BOTH of their photos, and email me with the name of the particular piece that you may be interested in. Thank you for looking and for supporting myself and EHAG! 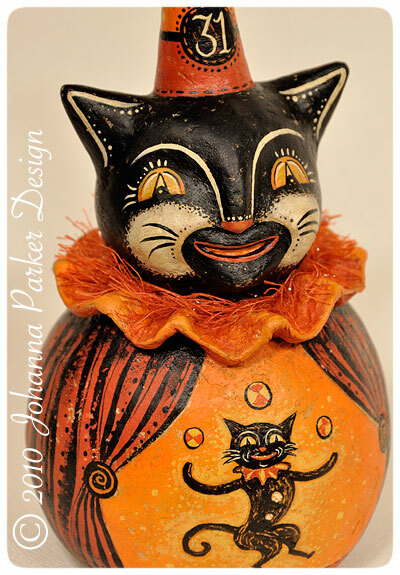 A hand-sculpted & painted original papier mache cat, dressed and ready for the Halloween sideshow! 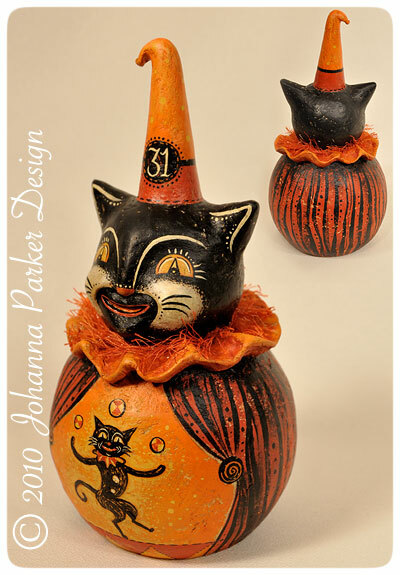 Details of interest include her hand-formed collar, tall party hat and illustrative imagery. Signed & dated, 1/1. 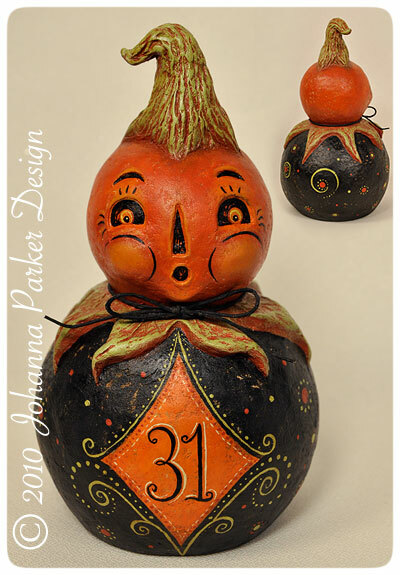 ....... and . . . . . . . .
A hand-sculpted & painted original papier mache jack-o'-lantern, dressed and ready for the Halloween season! Details of interest include her carved-like stem and leafy collar, recessed facial features and illustrative imagery. Signed & dated, 1/1.